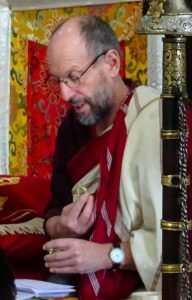 Lama Mark Webber will be in residence and retreat on Galiano Island at Namgyal Choling Gompa from December 6, 2016 to January 10, 2017. Due to the background of most of the participants he will be giving teachings and leading group meditations in the tradition of the Drikung Yangzab Dzogchen. There is no specified retreat length, please participate for one month or less. In addition, he has offered to individually guide people in all types of Buddhist meditation, depending on their interests and backgrounds. Accommodation: Lodging to be located and food obtained on an individual basis.